By my estimate, a majority of American households would be worth a million dollars by their 40’s if they start early and make a concerted effort. I’ve never thought of myself as someone who knows much about personal finance or investing. Yet I keep reading scary statistics about how the average American has less than $1,000 in savings, the typical family has $90,000 in debt, and most cannot pay for a $500 emergency. Americans, you can do better! You can save and be a successful investor without becoming an expert or hiring one. By my estimate, a majority of American households would be worth a million dollars by their 40’s if they start early and make a concerted effort. There are three parts to maximizing your net worth: (1) maximize your earnings (2) minimize your cost of living and (3) maximize the return from your investments. I will share my financial story so you can see that I learned these lessons the hard way. I purchased my first mutual fund at 15, with the first $500 that I earned. That was a smart start, but I followed up with a common setback: I wasted 5 years of my life getting three useless university degrees. A university degree may be necessary for many careers, but in my case, I learned virtually nothing that I used in my career as a software developer. I made university as cheap as possible by going to a state school and applying for tons of scholarships. I saved money by not having a car until I was 24, worked as a student worker, and had summer jobs. Because I lived so cheaply and worked while at school, I was able to invest my student loans in the stock market, which as you may recall did not do very well in the early 2000’s. I sold my stocks and paid off 100% of my student loans when the interest-free period elapsed, and decided to go with a professional advisor from then on. From 2005 to 2007, I lived cheaply and I sent a significant portion of my income to a broker. Whatever he was doing seemed to be working. What I did not consider is that the market itself did very well – I failed to compare his returns with overall market performance. When the recession hit in 2008, I lost over 60% of my original investment. Only later did I learn that he invested in subprime mortgage REITs that gave him kickbacks in the form of commissions. His incentive was to sell me funds with the highest commission – not those that controlled risk or maximized my return. After watching my life savings dwindle away for all of 2008, I created a forum thread with a investment strategy based on Peter Schiff’s Crash Proof in January 2009. I transferred everything to E*Trade and invested almost every penny I had in the markets. 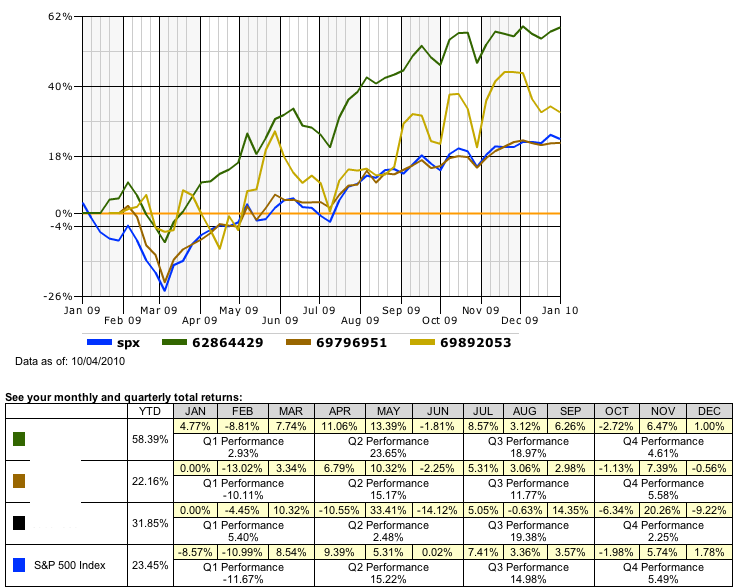 My return for 2009 from my investment fund was 58% – I made back everything I lost in 2008. That was a good start, but it was only a start. I invested very little additional capital over the next several years because I started spending most of my money on a nice car, restaurants, a fancy wedding, and an apartment that was soon overflowing with stuff I barely used. So, I found a job in Shanghai, China. It paid a fraction of what I was earning, but my wife and I decided that life is short, and if we did not see the world while we could, we would always regret it. We only brought with us what we could fit into the two suitcases allowed by the airline. Once we got to China, we knew we would have the same limitation when we moved on, so we decided not to buy anything we could not carry when we moved to our next destination. Over the next five years, we lived in a series of tiny apartments in central Shanghai (one of the most expensive cities in the world). Yet because we had so few possessions, we felt liberated, not constrained. We found that we did not miss the vast majority of our stuff, and we could move anywhere in the world with just our baggage. When I returned to the USA, I reviewed what my ETrade account had been doing while I was in Asia. I saw that it had grown badly unbalanced – investments that had been successful dominated my portfolio, and moved me away from my intended strategy. To stay true my plan, I would have to re-balance my portfolio multiple times per year, buying and selling many stocks and driving up my costs. That’s when I decided to switch to a robo-advisor, which would implement my strategy automatically, while minimizing taxes by investing funds in the right tax-category and performing tax loss harvesting. After some research, I decided to go with Personal Capital, although there are several cheaper options if you don’t care about having access to a personal advisor when you want it. Remember that your career is an enterprise. If you want to increase your compensation, you must increase your value to your employer. Do what your employer asks, but also discover what builds value for your employer and focus on that. Keep in mind that making the value you create visible within your company is your responsibility. Stay on the market and explore new opportunities even if you are happy where you are – this will help you understand your value. The money you are able to invest each month is a simple difference of your earnings minus your expenses. Every small change can make a small difference over many years. Eliminating a $4 coffee every day over 30 years will add $142,000 to your retirement. That’s why I bring my lunch to work, and commute to the office by bike. Even if you could buy a new house with cash, chances are that your investments will appreciate far more than your home. So you have to take out a mortgage. There as many opinions on investment strategies as there are investors, but unless investing in the market is your full time job, you will probably not beat the market. You may get lucky, but chances are that if you try timing the market, you will be guided by your emotions, and buy high and sell low. Even the best money managers in the world can’t beat the market. So my suggestion is: just invest in the market. The whole market, not just the S&P 500. 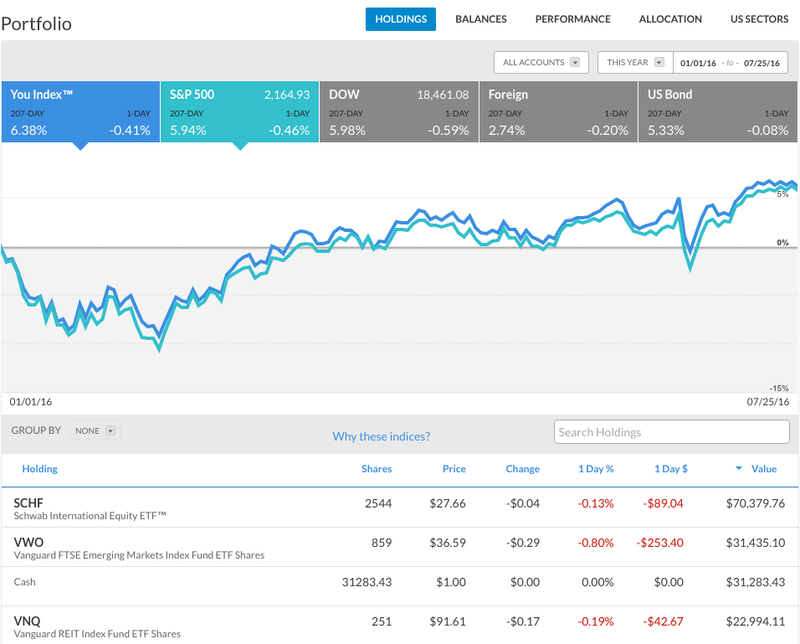 You can either invest in an index fund like VTI (USA) + VEU (not USA) or use a robo-trader which buys individual stocks (this can lower costs and save on taxes). I use Personal Capital. I can’t speak for other robo-traders, but Personal Capital re-balances my portfolio not only by asset class, but also by market sector, so I’m positioned to benefit from growth in any industry.